The latest male launch from Dior, 4 years on from Dune for Men. Desgned for the youth market, this is very fresh and has an eye catching bottle. There are 43 reviews of Higher. Very fresh, bright fragrance from Christian Dior. Starts out with a noticeable burst of basil (great in cooking and colognes, cool ;^>) accented with spiciness including rosemary. Citrus opening notes last for an instant, mostly disappearing after drydown. Remnant is a stable cypress, along with a small aquatic tang with a slight kiss of musk. Reminiscent of 360 Degrees Red by Perry Ellis (though not as intense)and a very toned down Ralph Lauren Purple Label. Higher seems more suited for younger wearers in warmer weather. For me (being in my 40's), I can see myself wearing this for casual occasions, or for wearing around the house. This is a very weak effort from Dior. If they were going for a weak bland scent with no longevity they did a great job. I don't believe this is anything more than cologne strength. This lasts no more than 2 hours with no projection. The quality just isn't there considering the price it's being sold for. Plenty of other quality scents at this price point that would be way more enjoyable. One word for this fragrance YUMMY.from start to finish it is obvious a Light fragrance.Delicious similar strawberry ice cream!a UNISEX fragrance! Fresh and soft.It brings me a image of a very young.for Everyday and Every special days in summer.in my opinion it brings composure to your face. My complain is that is doesent last long on my skin but HD is still a LOVELY cologne for me.very casual and modern fragrance. I have certain expectations of the house that launched Diorella, Diorissimo, Eau Sauvage, Fahrenheit, and Dune. Higher meets none of them. The only way I can explain badness as profound as this coming from Dior is as a cynical attempt to cash in on the “fresh,” aquatic masculine sports fragrance trend with the absolute minimum of effort or expenditure. Never mind the scent pyramid. I smell only three ingredients in Higher: Calone (fruity aquatic), an abrasive woody amber, and a clean musk that smells just like laundry detergent (only not as good). Dior Higher is a modern floral that adds uncommon notes of pear wood and cypress that makes it unique. 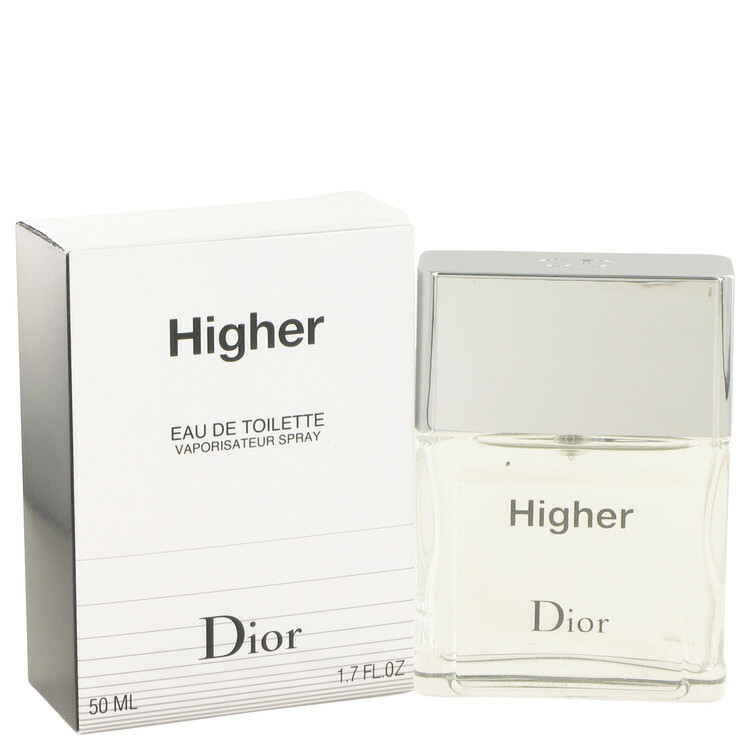 Higher is really the perfect name for this fragrance because it's a very uplifting etheral type of fragrance. Fantastic for summer and I could also see this being worn in the spring. Higher is subtle in projection, but has a presence. This can easiliy be a unisex fragrance because of the floral elements. If I had to sum up what Higher is I would say that it's Dior Homme's little brother. I don't love Higher, but I think it's unique enough to own a bottle of and pleasant enough to wear on a regular basis. lemon, but in the drydown with touches of wood, a nonspecific floweriness and a bit of wood that merges with a smidgeon of a musky notes it remains a bit insipid on my skin. Projection is poor, and a longevity of less than two hours in this type of scent is not satisfactory. There are no member images of Higher yet. Why not be the first?